HPE'S FEBRUARY, 2018 CREW OF THE MONTH! Congratulations to Team HPE's Academy School District Elementary School #20 @Wolf Ranch team for being named our February, 2018 Crew of the Month! This project with GC, Nunn Construction, started in June, 2017 and is a ground-up, new construction elementary school which will occupy 17 acres and accommodate 600 kindergarten through fifth-grade students. HPE implemented a full plumbing and mechanical solution for the this project which is expected to complete in June, 2018. 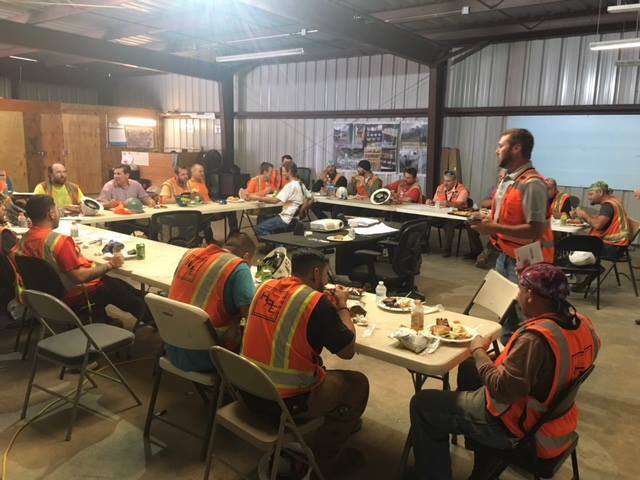 HPE's Crews of the Month are selected via a full spectrum of criteria, including safety, quality of work, schedule, teamwork, attendance, meeting financial targets, and formal client feedback/praise. This project is led by HPE's Brook Williams (PM), Jake Edwards (PE), Jeff Swain (Sheet Metal Superintendent), Josh Ricketts (Plumbing/Piping Superintendent) – along with crew members: Jeff Swain, Dan Spilman, Levi Wells, Art Marquardt, Jeremy Zellner, Ben Thompson, Arian Martinez, Gregory Appleton, Jake Anderson, Chis Port, David Smitherman, and Mark Zellmer. Hats off to our amazing crew for a job well done!